Adobe Reader is an essential part of any system as it will allow us to read PDF files easily. Although Windows 8 includes its own PDF reader app and Office 2013 also comes with PDF reading and writing support, Adobe Reader is the easiest and quickest one to read PDF files. If you open the above link, you will see that the highest number of the folders is 11. Go inside the 11.x folder and open the highest number which is 11.0.04 at the moment. 11.0.05 folder also exists but it is empty because that version is still in beta. 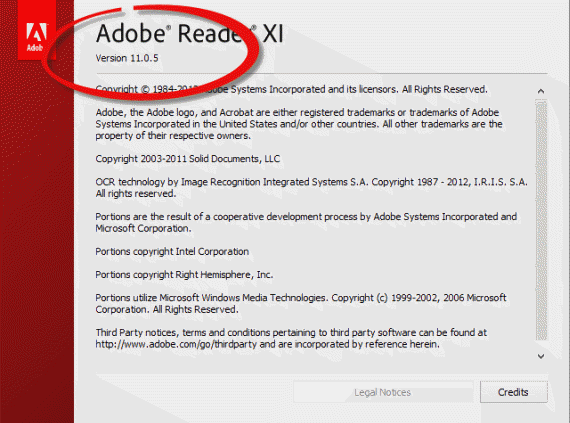 Adobe Reader 11 is touch friendly. This means that you will be able to use it in Windows 8 RT or Windows 8/ Mac OS X Lion touch enabled devices. Infolinks ad is really painful, Adsense is enough, I think. Is there any problem using them both simultaneously? Yes I also think that Infolinks ads are really painful but since it was adding an additional revenue stream for us, we were happy with it. And you are the only person who has complained about Infolinks ads and I have decreased the number of ads from 12 to 4. I hope this will not hider you a lot again.